“Prithwiraj” – Prith - we- raaj. Or you could just call him Roy. An Indian by origin, he migrated to the US in 2005 to pursue his career in Architecture. Since then he has worked as an Architectural Designer for over a decade with some of the most prestigious firms in the Design Industry. 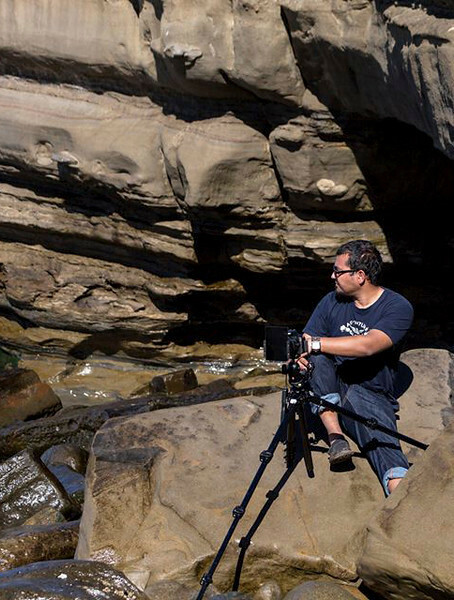 His passion for design, technology and art naturally led to the discovery of his passion for photography. When he is not doodling design concepts, he is either spending time with his loving wife and two beautiful kids in their sub urban home or capturing images around town. His background in design and inclination towards digital media has allowed him to experiment with photography. While Portraiture, Architectural and Low Light photography continue to be his main areas of interest, he is always up for new challenges and exploring other formats. Being an Indian American, he is always trying to marry the two cultures, through his unique portraiture and style, and make it appear seamless for his clients. His approach to storytelling through his imagery makes his sessions very interesting and allows the portraits to play a very important role in the process. He is a very visual person and believes in collaborating with his clients, right from the start. He will guide you through all aspects, such as location selection, wardrobe coordination, make up and accessories for all his portraiture shoots. What photography means to him? Creative, visual, emotional, challenging and having a ton of FUN!